Japan''s Darkest Secret is America''s Newest Nightmare! 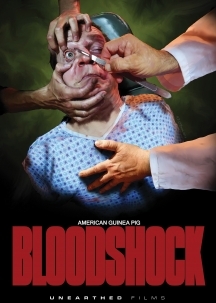 A man finds himself trapped and used for medical experiments in an abandoned mental facility. He doesn't understand why or how he got there, but the surgical tortures allow him to experience a new level of pain, sadness and reality he has never felt before. As the levels of maniacal mutilation enfolds, he finds himself down the rabbit hole. Grasping onto anything, the tormented finds a way out. Clutching onto what every human being is desperate for...little does he understand, his ending is all of our endings.